I love my silly indie titles. I love ones made by the people that made Banjo-Kazooie the most. Clearly, I’m talking about Yooka-Laylee. After being delayed from Q4 2016 to Q1 2017, and people that backed the game getting to try a small alpha version showing off some of the features (take my word for it, it’s great), the general audience got to take their first swing at the title this weekend at the EGX expo in Birmingham, UK. Overall, the feelings from players is that this game is going to be what we expect from the cheesy, not-too-serious nature of the Rare games of old. The colors and atmosphere, set to the familiar sound of a Grant Kirkhope and David Wise soundtrack, feel like an open door back into the 1990’s dressed up in a higher quality paint-job. 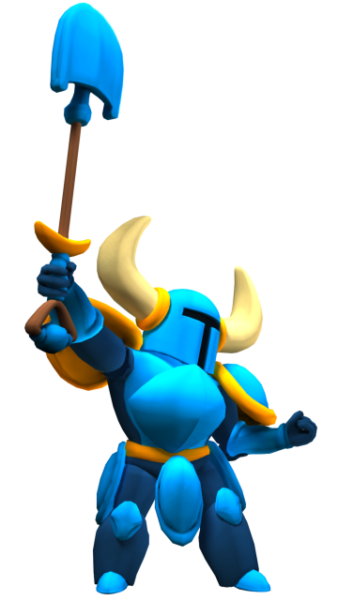 then we get a random surprise – Shovel Knight’s titular character is making some sort of guest appearance! We don’t have much reason as to why or what his purpose will be, but in a weird way, he seems to fit right in. 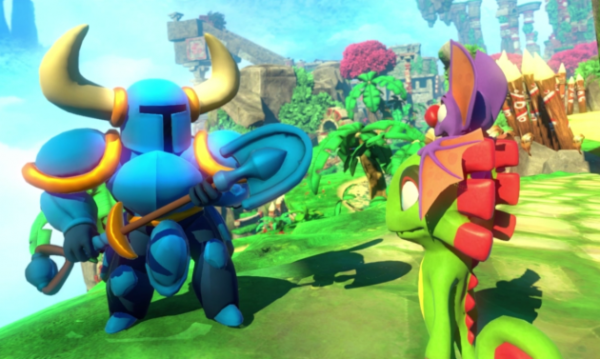 Response to his inclusion has been mixed – some people feel like the game should stand on its own, others simply disliking Yacht Club Game’s best-selling franchise, whereas others are delighted that Yooka-Laylee has earned such recognition already to get such a cameo. In my opinion, I don’t know what his purpose is going to be, so I don’t know how I feel about the inclusion. I guess we’ll have to see when the game comes out next year. 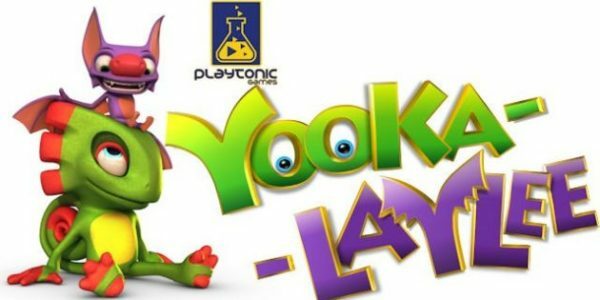 Are you getting Yooka-Laylee? Were you a backer on Kickstarter? I’m still waiting for my t-shirt to come in. Let us know how you feel in the comments below.